3/29/2019: V.0.51, Annotation database updated. 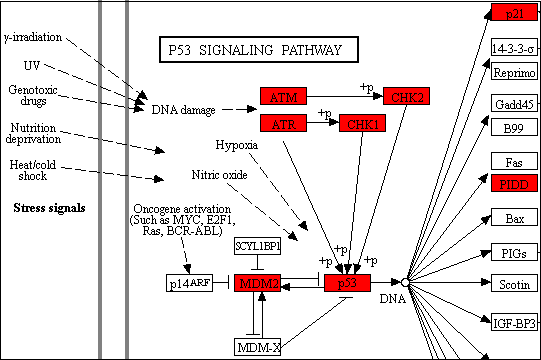 Select KEGG pathways in the left to display pathway diagrams. ShinyGO tries to match your species with the 115 archaeal, 1678 bacterial, and 238 eukaryotic species in the STRING server and send the genes. If it is running, please wait until it finishes. This can take 5 minutes, especially for the first time when iDEP downloads large annotation files. Based on gene onotlogy (GO) annotation and gene ID mapping of 167 animal and 53 plant genomes in Ensembl BioMart release 93 as of 7/15/2018. Additional pathway data are collected for some model species from difference sources. 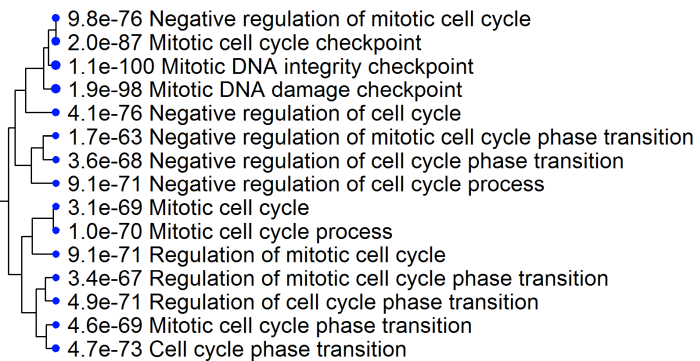 A list of gene ids, separated by tab, space, comma or new line characters. 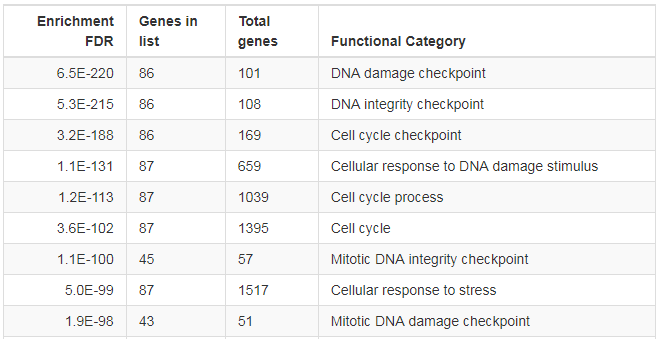 Ensembl gene IDs are used internally to identify genes. Other types of IDs will be mapped to Ensembl gene IDs using ID mapping information available in Ensembl BioMart. Many GO terms are related. 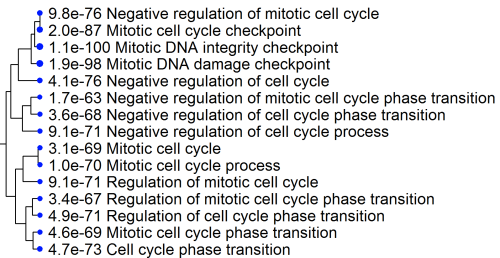 Some are even redundant, like "cell cycle" and "cell cycle process". To visualize such relatedness in enrichment results, we use a hierarchical clustering tree and network. In this tree below, related GO terms are grouped together based on how many genes they share. The size of the solid circle corresponds to the enrichment FDR. In this network below, each node represent a enriched GO term. 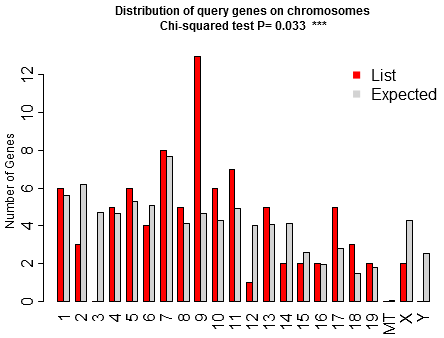 Related GO terms are connected by a line, whose thickness reflect percent of overlapping genes. Size of the node corresponds to number of genes. 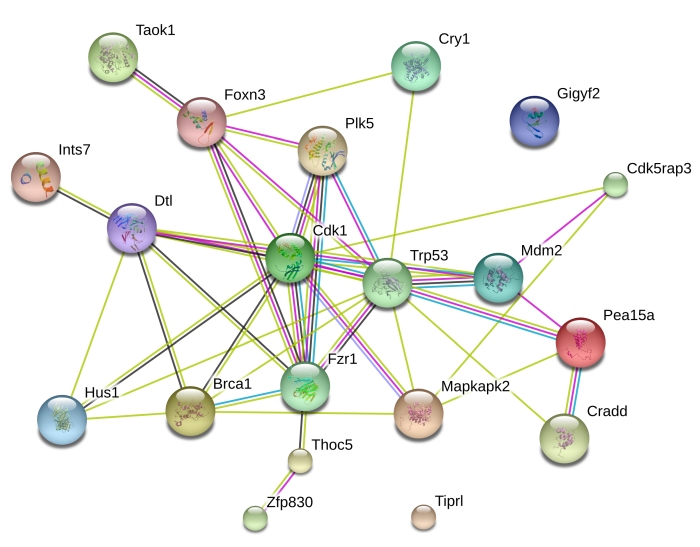 Through API access to STRING-db, we also retrieve protein-protein interaction (PPI) network. In addition to a static network image, users can also get access to an interactive graphics at the www.string-db.org web server. 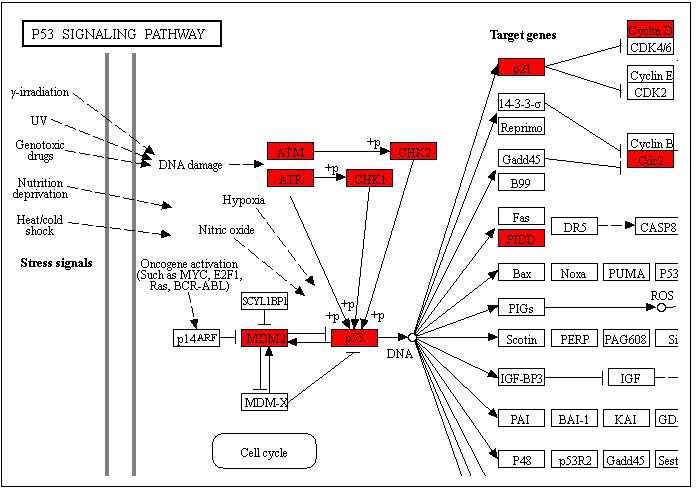 ShinyGO also detects transcription factor (TF) binding motifs enriched in the promoters of user's genes. 3/29/2019: V0.51 Update annotation to Ensembl release 95. Interface change. Demo gene lists. Error messages. 4/30/2018: V0.42 changed figure configurations for tree. 4/24/2018: V0.4 Add STRING API, KEGG diagram, tree display and network. By sending your genes to the STRING website, shinyGO is retrieving a sub-network, calculating PPI enrichment, and generating custom URLs to the STRING website containing your genes. This can take 5 minutes. Patience will pay off!